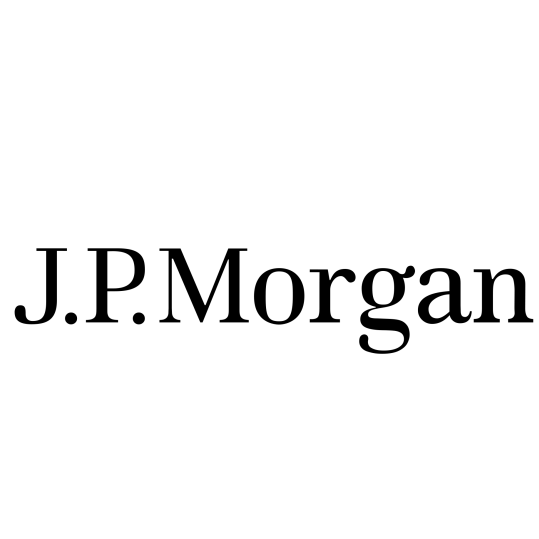 J.P. Morgan is a global financial services firm and also one the largest investment banking institutions in the US. Rated among the World’s Most Admired Companies, Top 100 Employers for LGBT Workplace Equality, and Top Companies for Executive Women, it’s no surprise that J.P. Morgan jobs are highly coveted and extremely competitive. Keep reading for our in-depth analysis of J.P. Morgan and how you can be one of the lucky few to score a job at one of the most well-established firms in the country. According to J.P. Morgan’s head of global recruiting, Michelle Bucaria, GPA is a very important factor used when vetting potential candidates, and those below a 3.2 should potentially think about applying elsewhere. In addition to a strong academic record Michelle encourages applicants to demonstrate strong leadership and teamwork prowess, through things like athletics, work, and clubs. J.P. Morgan also strongly suggests that applicants attend their networking events and leverage their alumni networks as a way to differentiate themselves from the rest of the pack. Even if you submit a stunning cover letter, that by itself may not be enough to advance to the next round, so make sure putting yourself out there as much as possible. If you are lucky enough to be invited to the company for an interview, expect about two to three, 30-45 minute interviews, which are all consolidated into a single day. The interviews are meant to gauge your communication skills, confidence, and knowledge of the company. You will most likely be tested on your technical skills, so be sure your knowledge of the markets and mental math skills are sharp. Don’t be surprised if amidst a slew of behavioral questions you’re suddenly asked about market information, or what 17% of 189 is. Investment banking is known for its grueling hours and intense workloads, and J.P. Morgan is certainly no exception. According to a summer intern’s daily schedule, interns were expected to be at their desks by 6:30am, so if you’re not a morning person, a career at J.P. Morgan might not be for you. Interns can be expected to work anywhere from 50 to 90 hours/week. In fact, JP Morgan interns are only guaranteed one full weekend off per month, and offering that is seen as an instance of “easing up” the time constraints placed on interns. In terms of diversity and equality, J.P. Morgan has been named one of the best places to work for LGBT equality as well as a top company for women executives. It is also 1 of 58 companies in the Fortune 500 to have a female CFO. This is even more impressive when you take into account that in finance women make up less than 15% of C-Suite executives. J.P. Morgan doesn’t disclose how much their interns are paid, but many interns report being paid around $25-30/hour. As a comparison, Goldman Sachs interns, on average, are paid around $25/hour, meaning that JP Morgan’s wages are certainly competitive for undergraduate interns. Of course compensation also depends on the role you have in the company. 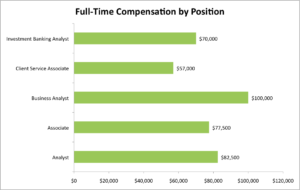 Below you can see a breakdown of the different full-time compensation levels based on position according to TransparentCareer users, with Business Analysts salaries hitting 6 figures. Working at any financial institution requires a great level of commitment and dedication, but if you want to be at a highly prestigious firm that’s been around for over 100 years, then maybe a career at J.P. Morgan might be for you. Still not sold on JP Morgan? Check out our guides on Goldman Sachs, Bank of America, and EY to help you figure out which company is best for you. Questions or comments? We love hearing from you! Reach out!